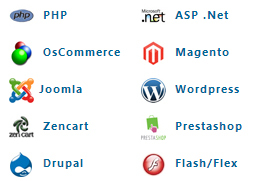 We can provide you with innovative solutions so that you can manage your websites all by yourself. We can provide you with administrative tools so that you can handle the site easily without being aware about a single line of scripting. Unlike our competitors we not only provide dynamic options for creating a site created through HTML, ASP or JSP but we also provide dynamically built Flash sites.